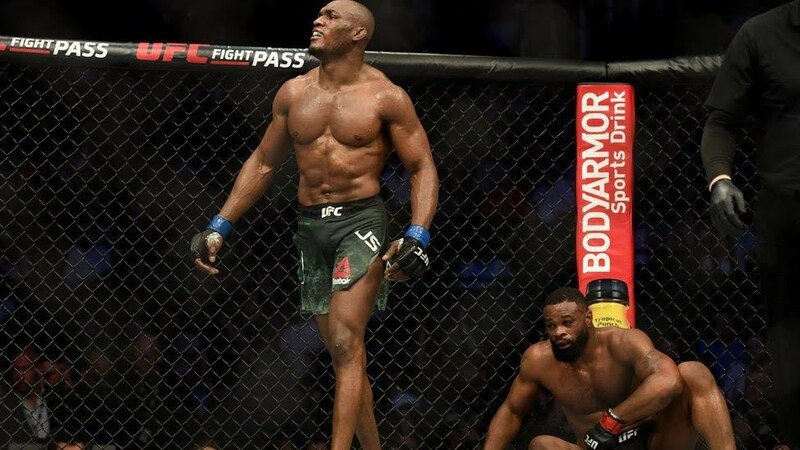 Kamaru Usman has become the first African fighter to win an Ultimate Fighting Championship (UFC) title. In his post-match press conference he revealed that before the match he had fractured his footand had been walking around in a supportive boot all week. He started off the press conference by greeting journalists in Arabic before switching to Pidgin. “Nigeria, I have told them, we would do it, I told them we never fail. And we have done it today,” he said in Pidgin. Usman was born in Nigeria, but left Benin City for Arlington in Texas as a young child when his family migrated to the US. Twenty-three years later, he is proud of his nickname, the Nigerian Nightmare, he told BBC World Service’s Sportsworld. But he is not the only sportsman known as the Nigerian Nightmare – something he is aware of. He invited two others with the moniker to his match – the former professional boxer Samuel Peter and the former Kansas City Chiefs American Football, Christian Okoye. 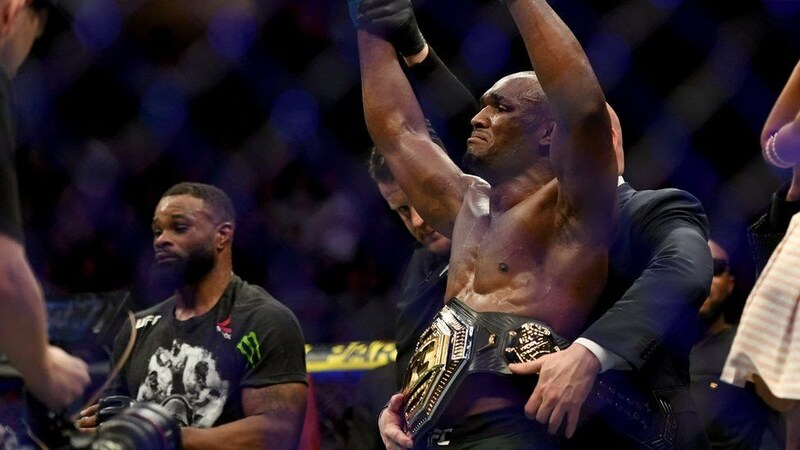 Usman, a former winner of the Ultimate Fighter TV show, began wrestling at high school in Texas and was a top prospect throughout college. “It was kind of time to make a switch and not just be a wrestler any more, but to be a fighter and to go and make a living for not just myself but my family as well,” he told Sportsworld.